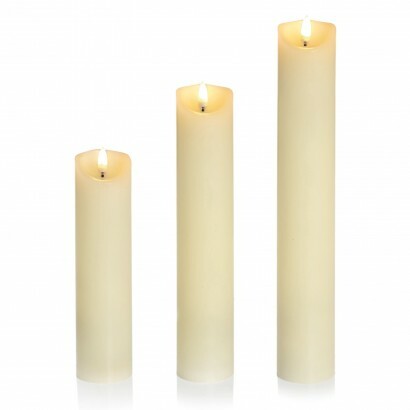 Available in three sizes; 20cm, 25cm and 30cm tall, Flickabright pillar candles feature the very latest real flame effects so that you can enjoy the warmth of candlelight without the risk. 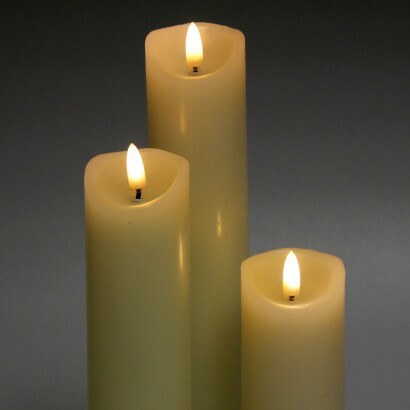 Each pillar candle measures a slimline 5cm diameter for unique candlelit displays, and made from real wax, they look and feel just like the real thing. Battery operated, each candle is lit with a warm white flickering LED to re-create real flame effects, and because they're LED they can be placed anywhere, even in the busiest of homes and spaces for atmospheric candle light without the risk of flames.